Tonight was one of those nights. Being in front of the congregation one does not want to be the distraction to the worship of others. There is always the concern that no undergarments are showing and that pant flies are always zipped. Tonight it was my nose!! I had yawned several times prior to church starting which triggered my eyes to water. We begin our Sunday night services with the opportunity to actually come to the altar, kneel and pray for various prayer needs. Tonight I knelt at the stage to pray for our country, peace with turmoil that is happening in a neighboring town, and for our church ministries. With having watery eyes and then leaning my head far over to pray the perfect scenario developed within my nasal cavities to form the pesky watery mucous we candidly refer to as SNOT. As we went on up to lead worship I was able to sniff the watery substance keeping it contained. That is up until time to actually start singing. Singing and sniffing my nose at the same time is not a skill I have ever acquired. As I sang I felt the liquid drip and roll down onto my upper lip. Trying to hide the snot with the microphone I become very distracted in my worship. The image in my mind was that the bright stage lights would catch the liquid just right and send off a sparkling prism-like effect. 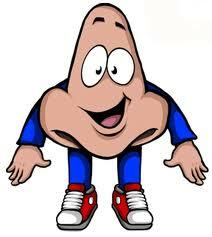 In my mind my nostrils had become like a light house crying out for attention to be noticed by all. As a last resort I snuck my left index finger up to do a quick swipe in between songs. Hey a girls gotta do what a girls gotta do sometimes!! This distraction got me to thinking that it is normal in our walk with Jesus to be distracted. Our focus might get knocked off balance from time to time. What I have noted in my own walk is that the more I know Him, the more I study God’s Word and spend time in prayer the shorter my distractions are. I am not sure if Satan has thrown any less distractions my way, but what I do notice is that when distracted God helps me direct my focus back to Him so much quicker now than say even just a year ago. There are so many little snots in our lives that can distract us from God, but the quicker we ask God to wipe them from us the more focused on Christ we will be. The more focused on Christ we are the more freedom, joy, peace, hope, love, and security we will have! Lord help me to wipe away all the distracting snots in my life and look full into your face always!!! !